Homeboy Electronics Recycling gives formerly incarcerated people and used electronics a second shot. When Donnie Holland re-entered society after 25 years in prison, his sole focus was finding employment. Securing a job as a formerly incarcerated person can be challenging. Job applications frequently ask prospective employees to disclose their criminal history, and when former prisoners do, their applications are often denied. Formerly incarcerated people face several systemic barriers when it comes to reintegrating into society and finding a job that can make it difficult for them to support themselves and transition back into civilian life. But Holland considers himself lucky. Within a few months he was hired by Homeboy Electronics Recycling, an e-waste recycling company that provides on-the-job training and employment for people who face barriers to employment, particularly to formerly incarcerated individuals. Today, Holland is a driver and Customer Care Specialist for the Los Angeles-based company, which is part of the nonprofit Homeboy Industries. “I’ve only been out [of prison for] two years and for 16 of those months I’ve been right here and I love it,” Holland told Global Citizen. 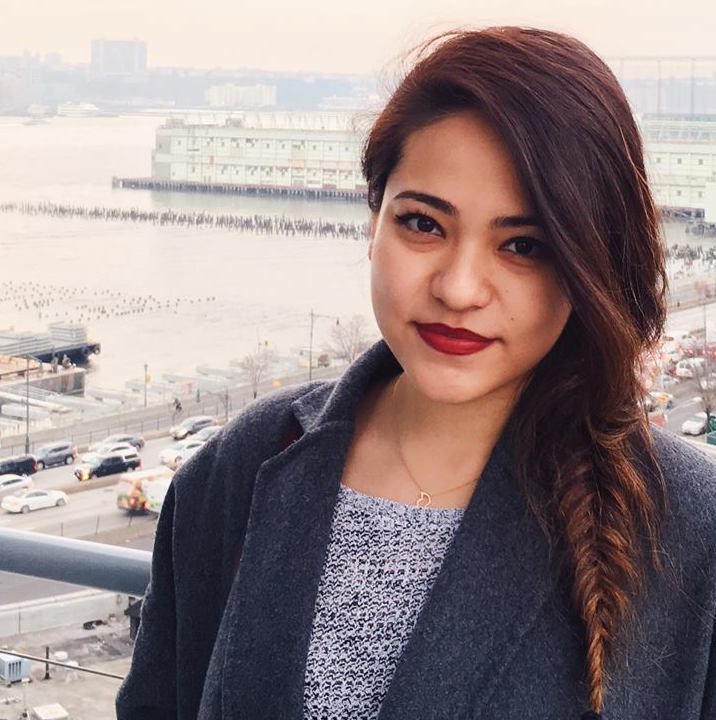 “Working here has changed my life tremendously. I get to come in and just be Donnie, be myself. “I don’t have to worry about explaining where I’ve been and what happened. We all share that background and we’re all humbled and grateful that there was a company that was willing to take a chance on us so we can just focus on what’s happening now — that’s priceless,” he said. 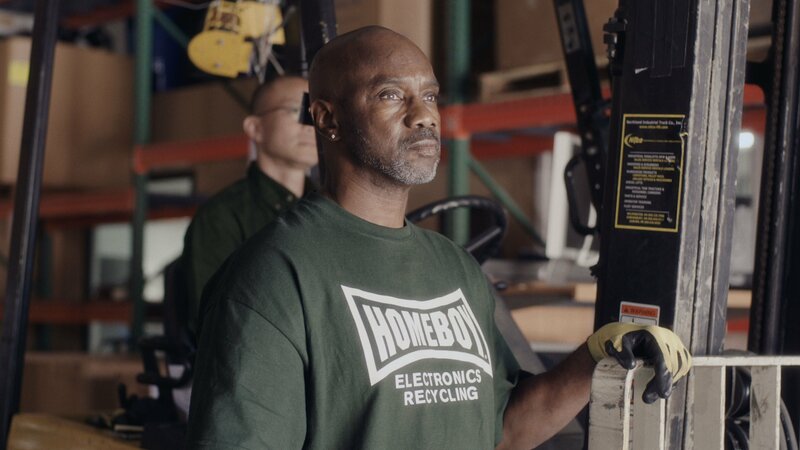 On a daily basis, Holland collects printers, scanners, and laptops — pieces of technology not commonly used when he went to prison in 1991 — from around Southern California to be repaired, refurbished, and reused, or stripped down to their basic components at Homeboy Recycling’s facility in downtown LA. Homeboy Recycling was born out of a desire to do good and, since 2011, the company has serviced businesses, nonprofits, and government offices in LA. More recently, it has expanded its services around the country, helping businesses and organizations to safely recycle and dispose of their unwanted electronic devices. CEO Kabira Stokes founded the company — originally named Isidore Electronics Recycling (after St. Isidore, the patron saint of computers and the internet) — after getting involved in LA local politics and witnessing the lack of employment opportunities for formerly incarcerated people. “I was working in the field and one thing I would see is people coming home from prison and there would be no job opportunities for them,” Stokes told Global Citizen. “Since there was nothing for them to do, they would go back to gangs and so often they would end up back in jail. Stokes decided she would hire them. After earning her master’s degree in public policy, Stokes focused on finding a sustainable and growing industry in LA that would enable her to create employment opportunities for formerly incarcerated people and others facing systemic barriers to employment. “I visited a recycler in Indiana who had hired a man who was three days out of jail to rip apart TVs and things like that. And when you’re an entrepreneur there is some kind of weird screw that goes loose in your head, and I was like, ‘I think I can do this. I think if I ask people for their old electronics, they’ll give them to me and I can hire some guys,’” Stokes said. Stokes convinced the organizers of the Green Festival in LA to let her set up an electronics collection point at their event and hired some men through Homeboy Industries, which has supported formerly incarcerated and previously gang-involved individuals in their transition to contributing community members in LA for 30 years. Stokes’ company and Homeboy Industries formalized their partnership in 2017 when the nonprofit acquired Isidore Electronics Recycling. Over the past seven years, Homeboy Electronics Recycling has gone from collecting unwanted electronics at a festival to servicing hospitals and major companies like HP, which works with Homeboy Recycling to source recycled plastic to produce printers. HP sends shipments of end-of-service printers returned by customers at the end of use to Homeboy Recycling, a subcontractor of HP’s core recycling partner Sims Recycling, to be dismantled. Homeboy Recycling then extracts the plastics that can be recycled and reused in HP’s printers and sends them back. 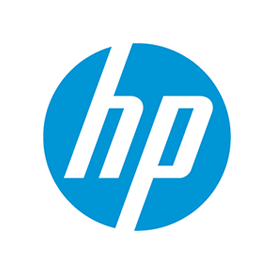 HP has been a pioneer of closed-loop production and recycling in the industry. More than 80% of its ink cartridges and 100% of HP LaserJet toner cartridges are now made with closed-loop recycled plastic and, as of 2017, HP has expanded its closed-loop production to printers. But Homeboy Recycling doesn’t just strip discarded electronics for parts. Though the majority of electronics that make their way to Homeboy Recycling are at the end of their lives, the company aims to reuse as much as possible. Computers and other devices that can be salvaged are repaired and refurbished after their data has been securely wiped. These can then be sold back out into the market. The company also rents old gadgets as film props. This year, with 25 employees, Homeboy Recycling is on track to process and recycle over 2 million pounds of e-waste — but unless consumer habits change, that’s just a drop in the bucket. E-waste is the fastest-growing waste stream on earth, according to the World Economic Forum. As people become accustomed to upgrading their phones more frequently and buying new laptops every few years, the world is producing increasing amounts of e-waste, but recycling their old devices at persistently low rates. Nearly 50 million tons of e-waste are expected to be produced in 2018 alone — and that’s not just wasteful — it’s also harmful. In the US, e-waste makes up just 2% of material in landfills, but accounts for 70% of the toxic waste found there. Globally, e-waste is often sent to developing countries where it makes its way to landfills and poses health risks to people who live nearby or rely on scrapping and salvaging material from landfills for income. These are often people living in poverty, including children. The problem is, recycling electronics isn’t always easy or convenient. Many people don’t know where to safely dispose of their unwanted electronics, but Stokes suggests checking libraries or home and hardware stores like Home Depot. Some companies, like HP, have recycling and trade-in programs and will take back their products to be repurposed or safely disposed of when consumers no longer need them. Above all, Stokes urges people to check that the e-waste recycling services they use are either e-Stewards or R2 (Responsible Recycling) certified — Homeboy Recycling is R2 certified. Companies with these designations meet both data and handling safety standards that ensure the protection of people’s data and e-waste handlers’ health. Homeboy Recycling is also planning to launch a mail-back program to make its recycling services more accessible to individuals. “Every year in our existence we’ve about doubled the amount of electronics we’ve taken in — and the goal is to keep doubling that as we go,” Stokes said.